Восхитительный пентхаус с невероятным видом на город и хорошо продуманным дизайном идеально подходит для семейных пар. В нем имеется одна двухместная спальня с двуспальной кроватью, ванная комната, гостиная/столовая комната с двуспальной кроватью-диваном, кухня, две террасы с барбекю. Полностью укомплектованы до мелочей. На кухне этого замечательного пентхауса есть все необходимые принадлежности. В непосредственной близости от квартиры находится станция 2 линий метро, с которой, всего за несколько минут, можно добраться до центра города, Барселонского пляжа, или храма Саграда Фамилия, знаменитого шедевра Гауди, расположенного в районе Эйшампле. Чтобы посмотреть маршрут от ближайшей станции метро, нажмите здесь. We had a nice stay in a nice city. The aparman is very clean and confortable for 4 persons. There was everything that we needed. 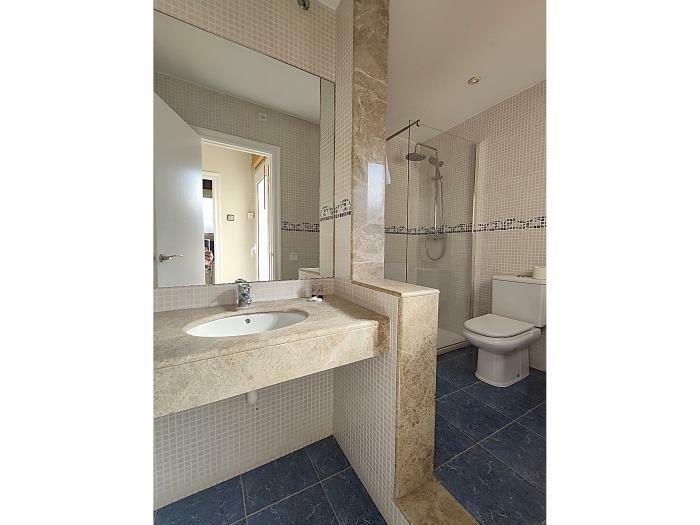 The location is also very good, 2 metro lines are in 5 minute walk and there are many supermarkets in 2-3 minutes walk. Thank you! This is a fantastic little gem of an apartment. 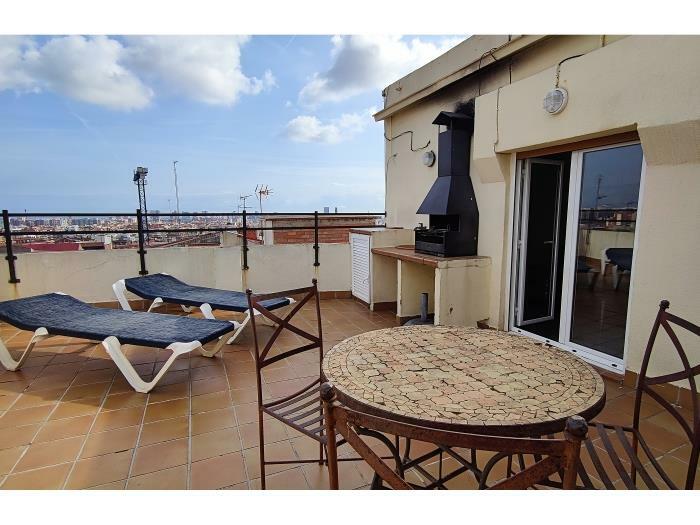 2 beautiful roof top terraces with views over the city. 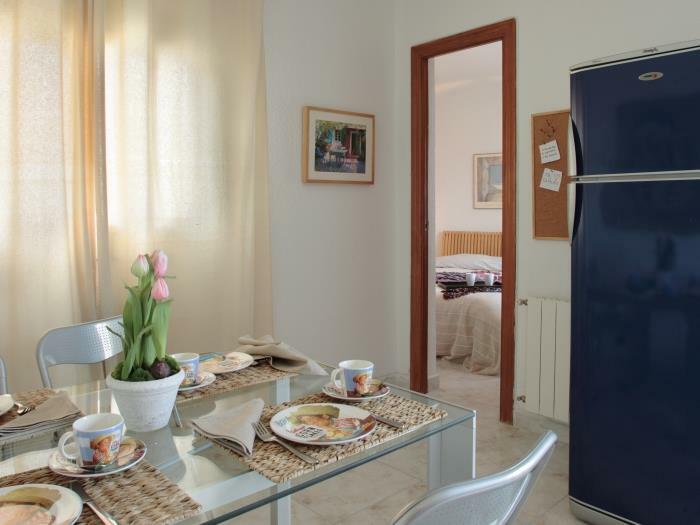 All needed amenities including a washing machine and very good power shower. The area is clean and quiet with a metro very close to get to city centre in 15 minutes. We will definitely be booking again. Thankyou for a wonderful experience Barcelona!! Great communication with the host. excellent location. Need new beds and the coffee maker was a sad excuse for a coffee maker. The apartment needs a loving hand. excellent petit atico avec double terrasse et vue sur mer (de loin quand même) beau panorama . Une petite réparation des huisseries ne serait pas inutile. le service d'accueil et pendant notre séjour à été efficace et sympathique. accueil très agréable, et un réel plaisir de revenir dans cet appartement. Ce serait bien quand même de changer le volet roulant de la chambre et de voir pour l'eau chaude de la douche ; un coup froid un coup chaud ... Sinon on s'y sent très très bien. Toujours propre et tout ce qu'il faut. 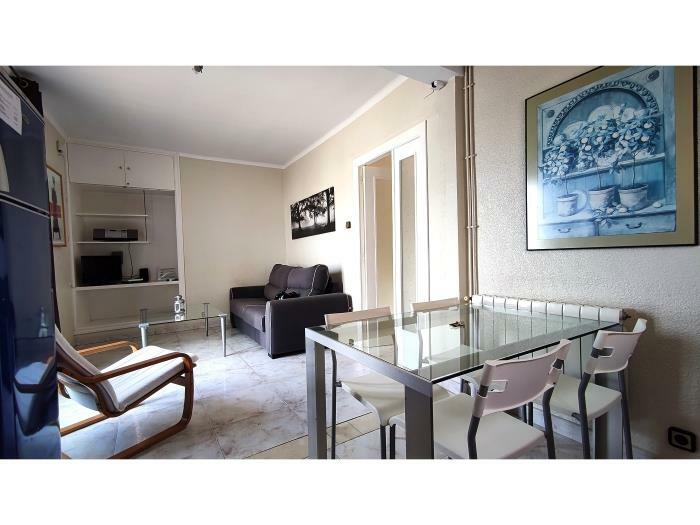 appartamento luminoso e pulito, completo di tutto. quartiere molto tranquillo e pieno di negozi dove poter fare un po' di spesa e ci sono anche piccoli ristoranti dove si mangia bene a buon prezzo. metro un po' lontana ma niente di che. ottimo! Appartement very clean, everything you need is there. Some stuff is outdated and needs to be replace and the TV didn't work. Appartement très calme bénéficiant d'une bonne situation ( Metro, commerces). Confortable, fonctionnel et très propre, parfaitement conforme à l'annonce. 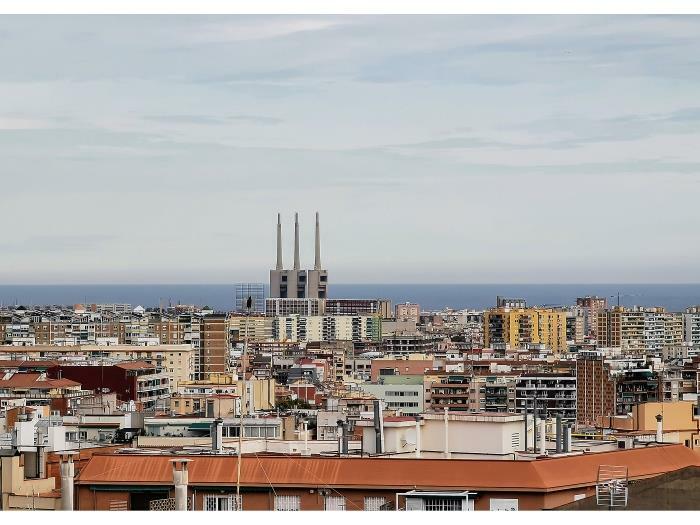 Les terrasses sont agréables, d'où l'on a une belle vue sur Barcelone et la nuit, la ville illuminée s'offre à vous c'est assez magique .... Un ascenseur vous amène en haut de l'immeuble, c'est très pratique avec des valises ... Seul petit bémol, le café du matin .... Il serait sympa et plus convivial d'avoir une vraie cafetière pour le petit déjeuner. Autrement nous récommendons cette location et gardons l'annonce de notre séjour ou nous souhaitons revenir. 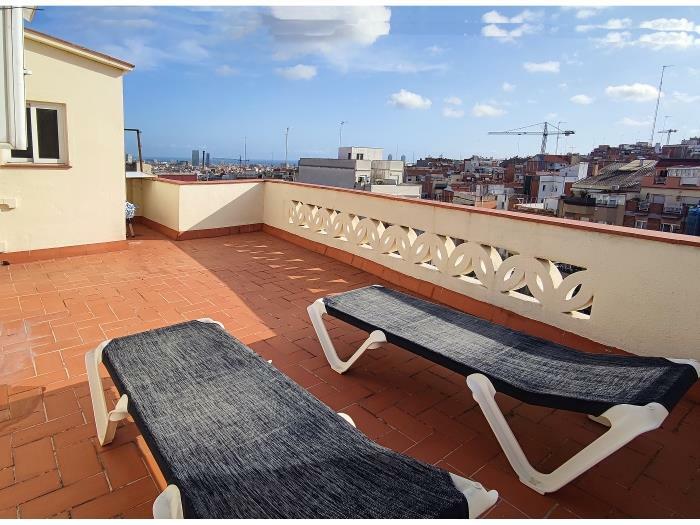 Very nice apartment to enjoy Barcelona. bel appartement idéal pour deux, proche de 2 lignes de métro, calme, vue superbe des deux terrasses. We were not informed that there was renovation going on downstairs.Lot of noise between 8-17.We hoped to get some discount of price but no response! Ho trovato tutto ottimo: servizio ed appartamento. Sono completamente soddisfatta. Spero di ritornare. Contrairement à ce qu'on nous avait dit, on peut trouver des places de parking gratuites dans Barcelone. Cela peut servir à d'autres touristes venant en voiture. Nous avons trouvé des places un peu au nord de Guinardo dans un quartier chic en hauteur. 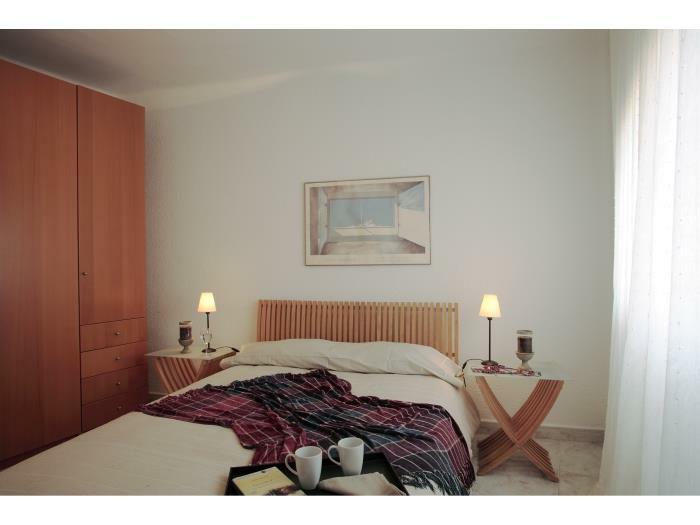 nice room, outside the touristic center, but easy to go there by underground. thumbs up!!! Тесновато для четырех. Если вы намерены проводить много времени в доме, поищите другое. Из плюсов - две терассы, ночькой посидеть, поболтать под винчик - супер! Розетки разболтаны слегка или у них там штекера такие толстые просто. Вай фай - цуко платный. The couch was not comfortable and could not be used for sleeping. Apartment only recommended for 2 adults. The best accommodation I've been to so far. 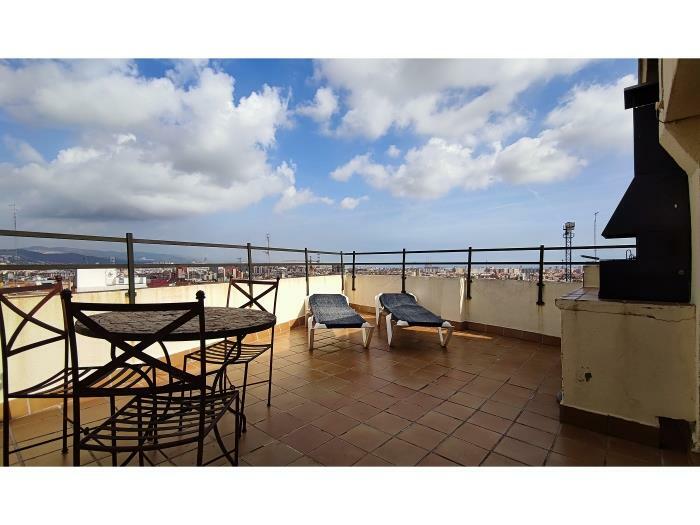 Amazing view, great location - only 2 minutes away from the nearest supermarket and metro station. What's more, the contact with the staff was without any problems. The only thing I can complain about is the cleanliness of the apartament, which could have been done much better as it was simply quite dirty. Still, I strongly recommend classbedroom apartaments - you won't regret choosing them! The garden chairs should be replaced and the mold on the wall in the bathroom should be removed. Nice play to stay. The apartment is very nice, the smell is a little upsetting but you have everything you need there. Very close to the subway and a very nice neighborhood. Location: Perfect, a bit outside of the city, but that was what we were looking for. Several minimarkets close by. Just a few subway stops from the center. Comfort: The sofabed was a bit wornout, so you might consider an upgrade there. Some of the chairs were about to give up as well. But overall, supervalue for the money. The terraces were amazing, even though it was a bit too cold in march to hang out on them. Apartamento situado a poca distancia del metro. Buena combinación con el centro de Barcelona. Es pequeño pero acogedor. Cocina bien equipada. La limpieza es escasa, habría que mejorarla, ya que pagamos un dinero por ella. 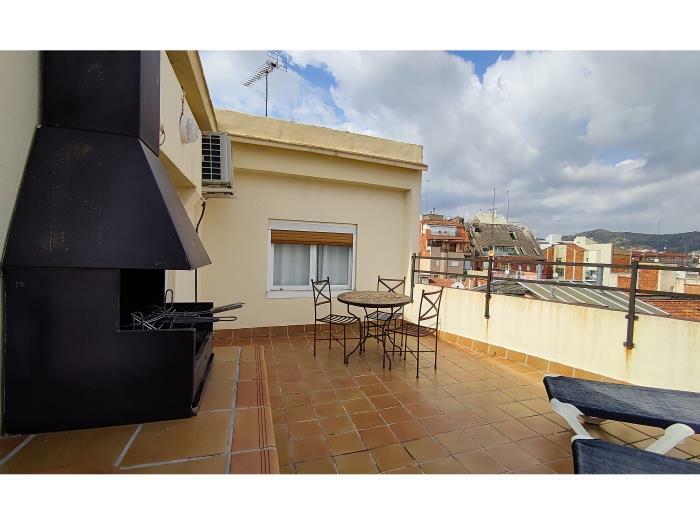 a lovely apartment, with the bonus of two terraces, one complete with bbq. stunning views over the city. a bit cramped for 4 but as it was just 2 of us it was ideal. The staff was very helpful all the time. Very nice view. Only one thing we could not get a conexion with Internet, even we paid for it was not possible, this was very strange because we were in other cities without problems. We recomment to have another AC unit in the master room. sehr schönes Apartment, mit Bus und Metro gut zu erreichen, würden wir auf jeden Fall nochmal buchen! Vraiment conseillé!!! Proche de toutes commodités, du métro direct pour le centre... Mais ce qui rend cet endroit immanquable, ce sont les terrasses! Extra! Panorama bellissimo, gestione impeccabile del cliente. Torneremo! We loved everything about the apartment. It was in a great location near a grocery store. The metro was only about a five minute walk. The apartment was clean and the view from the balcony was fantastic. The young lady that showed us the apartment was extremely helpful. She gave us suggestions on where to go eat, shop and drink. She also adviced us when to go to certain sights and avoid long lines. All in all, it was a great trip with a great place to stay. Thank you. Es war alles gut. Nur das Schlafsofa geht gar nicht. Man liegt direkt auf den Sprungfedern und das war selbst unserem leichten Sohn zu hart. 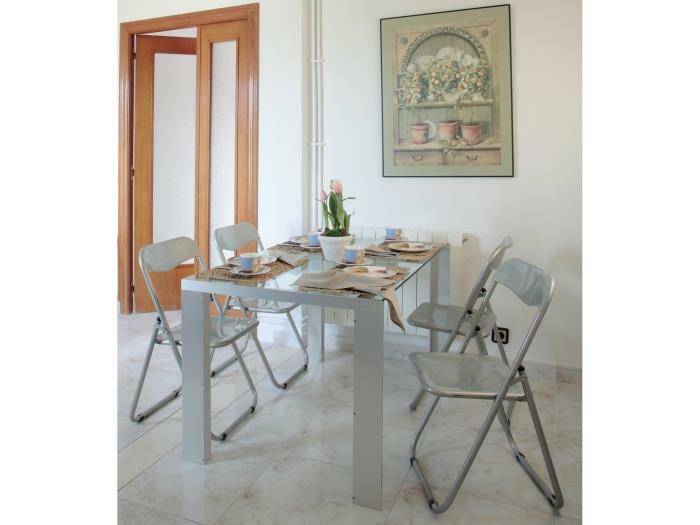 A lovely apartment (P. Guinardo #2), clean and convenient, perfectly located for being a 14-day tourist. Lovely neighborhood with all needed stores and services within 100m. Good views of city and sunrise. Staff available and very helpful. A superb value for the money! mostly good, but chair`s inside and outside could have been better. we will use you again! BY! 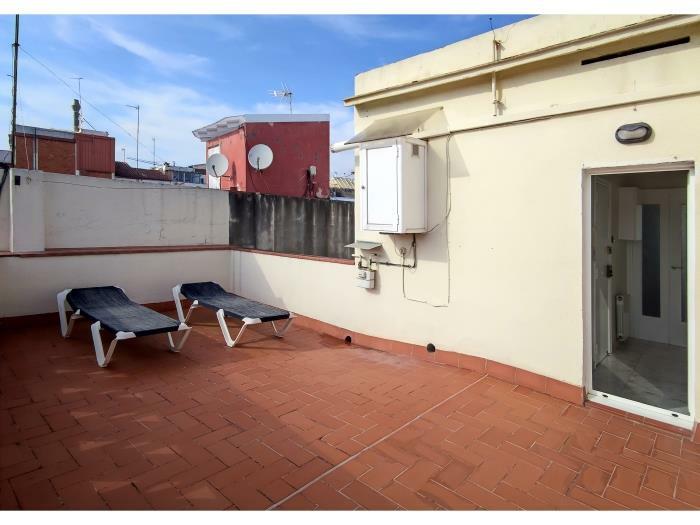 A revoir le couchage du canapé lit dans le salon, sinon, appartement très agréable, propre, les deux terrasses sont très appréciables (vue sur Barcelone). Le métro est à proximité et le quartier très calme. GUINARDO GARÇONNIERE is a very nice apartment. Especially the terraces are great. What a wonderful view!Everything was really clean and comfortable.It was also fine for our crawling babygirl. Metro "Maragall" is very close and so we could stay in authentic Barcelona and visit all tourist attractions by tube.Thank you! Tolle Lage,sehr schöne Aussicht,haben die ruhige Lage sehr genossen.Kontaktperson war sehr nett.Metro-Station in der nähe.